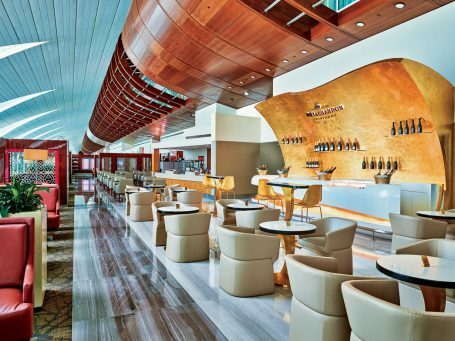 Emirates has launched an additional privilege to extend the usage of its luxury lounges at Dubai International Airport to its Loyalty Programme members and their guests at a minimal fee regardless of their class of travel. Business Class travellers now also have the option to pay an upgrade fee to access the First Class lounges. Guests who have paid a fee for entry can stay for up to four hours. Eligible guests can access the Emirates Business Class lounges in Dubai for a fee of US$ 100 and the Emirates First Class lounges for a fee of US$ 200. Business Class customers can also upgrade to First Class lounge access for a fee of US$ 100. Currently, First and Business Class customers as well as Silver, Gold and Platinum Skywards members receive complimentary access to the lounges in Dubai.